What should a teacher do if accused of test administration misconduct? 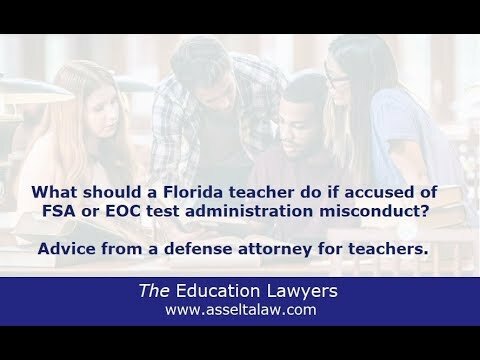 Florida teachers are often required to help administer FSA or EOC tests. Administering these tests can put a teacher at risk if they aren't careful. What types of issues could cause a teacher to face accusations of test misconduct? What can happen to a teacher if accused of helping students on an FSA or EOC test? The Florida Department of Education takes these accusations seriously. Many teachers have been told they will face at a minimum a suspension.